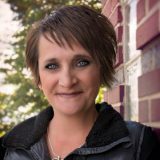 Stacy Shumway is responsible for overall quality management at the Wasatch Photonics Logan, Utah facility. With several years of quality control experience her goal is to build reliable, repeatable processes that produce consistent quality. Stacy is particularly skilled at navigating the complexities of documenting quality standards to deliver product exactly to the customer specifications. As quality control supervisor, Stacy’s mission is to provide the highest quality gratings available to ensure you get reliable results quickly, easily, and consistently.